No matter what type of app you’re building, you're going to need to fetch data, display it to a user, and enable the user to interact with and update that data. This interaction and updating phase is often asynchronous by nature which presents you, the developer, an opportunity to provide a range of different experiences depending on the scenario. In some instances, you can leverage what is known as optimistic UI updates for an improved, snappier user experience compared to a traditional “loading/waiting” experience. They aren’t suited for every use case, but selectively making use of optimistic UI updates throughout your application can have a significant impact on the quality of user experience for relatively little cost and complexity! In this course, we’ll walk through implementing optimistic UI updates in the real world example of liking and unliking a tweet. 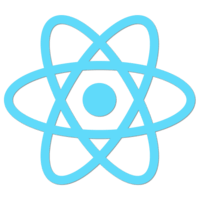 We'll use React's built-in state and make use of extracting setState updater functions to help manage and better define our setState usages.